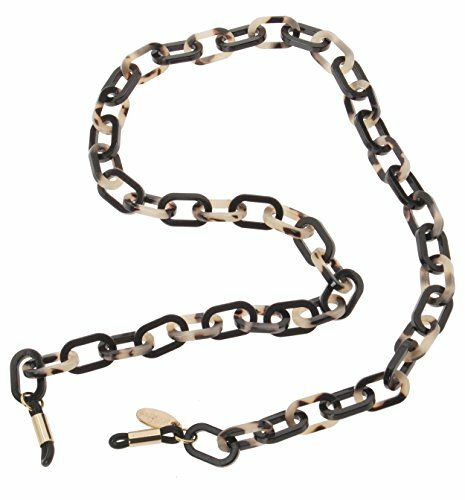 L. Erickson Brynn Oval Link Eyeglass Chain is an elegant addition to any eyewear. Composed of cellulose acetate links in alternating colors, the retainer chain features adjustable silicone loop ends to fit a variety of frames. With its bold two-tone design and chic finish, this luxurious lanyard will keep your lenses close to you in style! If you have any questions about this product by L. Erickson, contact us by completing and submitting the form below. If you are looking for a specif part number, please include it with your message.